These are basic wooden incense burners. Made In India. You will receive 1 wooden incense burner and 3 packages (12 Sticks) of our hand made incense. Our choice of fragrance. We will no longer be making incense so when we are out of stock we will no longer offer it. 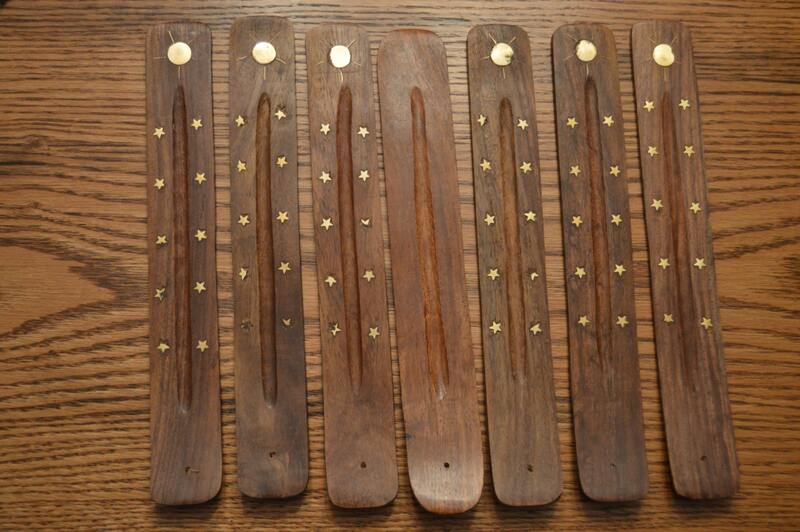 We will however continue to carry the incense holders/burners as well as all of the supplies to make your own. The incense burner you receive will be the wooden one in the center of the photo. Wow got my order and samples, but they were packages of full size incense. Blew me away. Thank you so much. Fast shipping and I love the holder! Also, thanks for the extras!